Obama’s Intelligence Director TURNS ON HIM, Admits the TRUTH About Wiretapping On “Meet the Press”! When Donald Trump was sworn in a US President he gave promise that he will drain the swamp from everything that was bad and corrupt for so long! More and more scandals related to Obama and his administration has revealed to the public! Latest in the chain of scandals was Obama’s illegal Watergate-style bugging operation at Trump Tower in New York. The fact is that “no one is above the law” not either Former President Obama and that’s why he needs to answer in front of the law. The former director of national intelligence, James Clapper, went on “Meet the Press” to deny the wiretapping activity. During the interview, however, he said there was no evidence to prove there was any collusion between Russia and Trump’s campaign, via Independent Journal Review. It is known that Clapper, and other intelligence officials, released a report at the beginning of the year that “confirmed” the allegations that Russia influenced the 2016 elections to make sure Trump won. Now, however, Clapper is saying it did not conclude that Trump and his campaign were involved. The report also did not give any other evidence that would suggest it was so. When Chuck Todd asked straight out if other evidence existed, Clapper said it did not. Clapper is contradicting himself and throwing the lies in the Democrats’ faces. He confirmed that when the report was written, which all the liberals lost their minds over, there was absolutely no evidence that proved Trump or his associates colluded with Russia, which is what We the People knew all along. 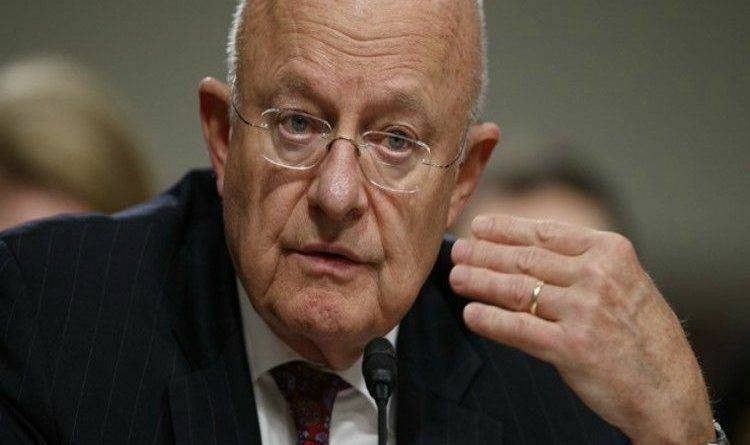 Clapper did mention that new evidence may have been found since Trump was inaugurated, but given the multitude of leaks trying to damage Trump’s administration, it’s safe to assume that if there was any real evidence, it would have been leaked by now. Clapper even highlighted an important fact, one the media constantly ignores — the Senate Intelligence Committee was already in the midst of a bipartisan investigation into Trump and the alleged Russian ties. The former intelligence official stated he was “confident” about the investigation, and he thought it made sense for them to release their findings to help determine who would be the special prosecutor to investigate Trump. This proves that all the liberal “shocking evidence” over Trump’s Russian ties is nothing more than a sham. Even though there have been several investigations, and a bureaucracy that does not hold back when releasing damaging information, there is no evidence that justifies the Democrats calling for a special prosecutor. This revelation was ignored by the mainstream media completely! SPREAD THIS EVERYWHERE! ← Muslim Cadet Refuses To Remove Hijab – Military School IMMEDIATELY Shows Her Who’s In Charge!! !